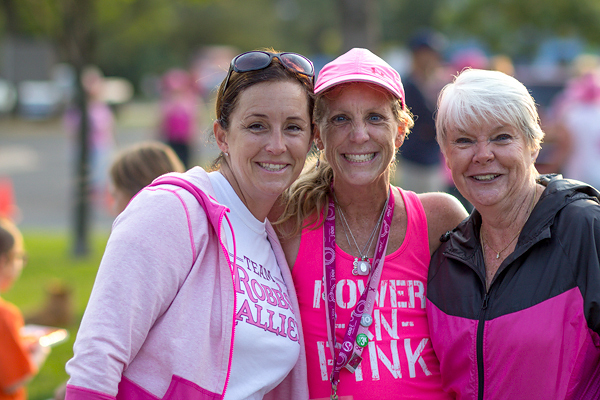 Besides raising more than $60,000 in funds over 10 years of walking, Kathy Heins has led a team of fundraisers, Robb’s Ralliers, to raise more than $400,000 in funds for breast cancer research over the years they have participated! 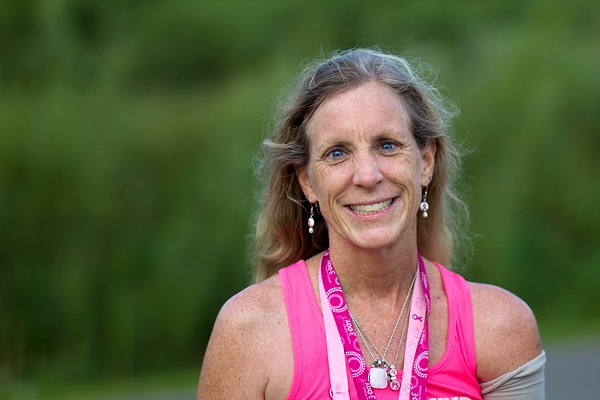 Kathy has been been a walker in the Susan G. Komen Twin Cities 3-Day for 10 years, and she is this year’s recipient of the Milestone Award for her commitment to the Twin Cities’ efforts in breast cancer awareness and research. Oh, and it’s her birthday today on Day 2 of the Twin Cities 3-Day. “I had heard about the 3-Day from friends of mine who were co-survivors, but had young children at home, so couldn’t travel to other cities,” said Kathy. “In 2003, it was announced that the first 3-Day® would be held in the Twin Cities – as a survivor, I wanted to do something bigger than me and my battle. Raising the money, training for the walk and participating in the event felt like the perfect thing.” She was diagnosed with breast cancer for the second time just after the second Twin Cities 3-Day in 2005, and she committed herself to walk until her feet couldn’t carry her anymore. As a veteran walker, Kathy recommends walking at your own pace and taking sweep vans if needed. “What you’ve accomplished to date–the fundraising and the training–is amazing! Make sure you can walk through the finish line on Day 3! Enjoy camp life and soak in the experience. Take time in the remembrance tent. It’s extremely sad, but it will inspire you to keep up the fight.” Kathy’s attitude and view of the 3-Day as “inspiring, awesome, and hopeful” has been a great force in the fight against breast cancer and a great support to other walkers. Congratulations Kathy on receiving the Milestone Award for 2013 in the Twin Cities!